Four years on and our little group is going strong. 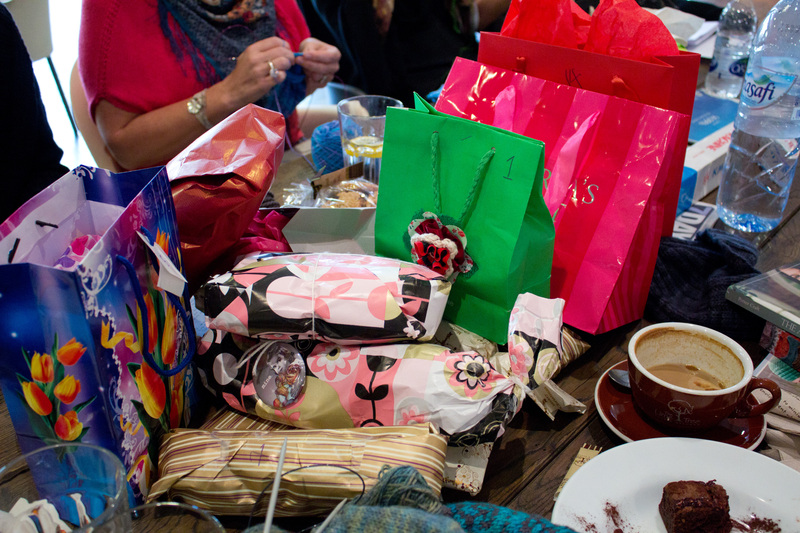 What started out as a once-a-month get together with like-minded crafty people has grown into friendships that goes beyond the knitting and the yarn. It’s just sad that some of the people who started this journey with us are no longer in the same country, but that doesn’t stop us from catching up! 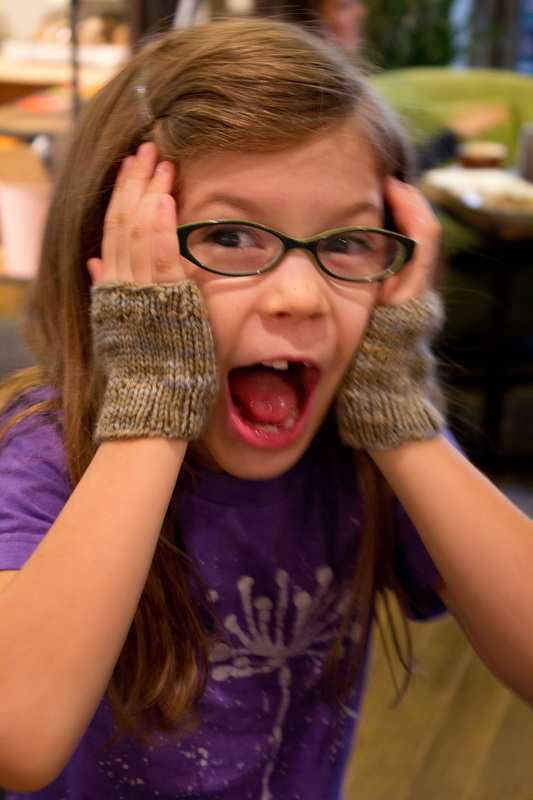 Thank goodness for Ravelry and Facebook! Two weeks ago we met as usual at The Lime Tree and, on Shyma’s suggestion, we brought mystery packages and gathered them at the centre of the long table. This is the pile we had that day. 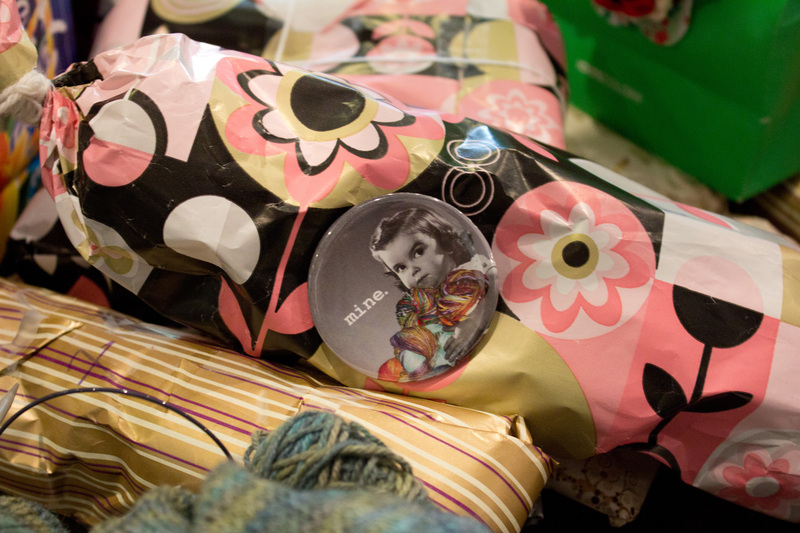 We numbered the packages and had each one pick out a number out of a jar and the corresponding package was theirs. It went great and we had leftovers so we had extra lucky dips! 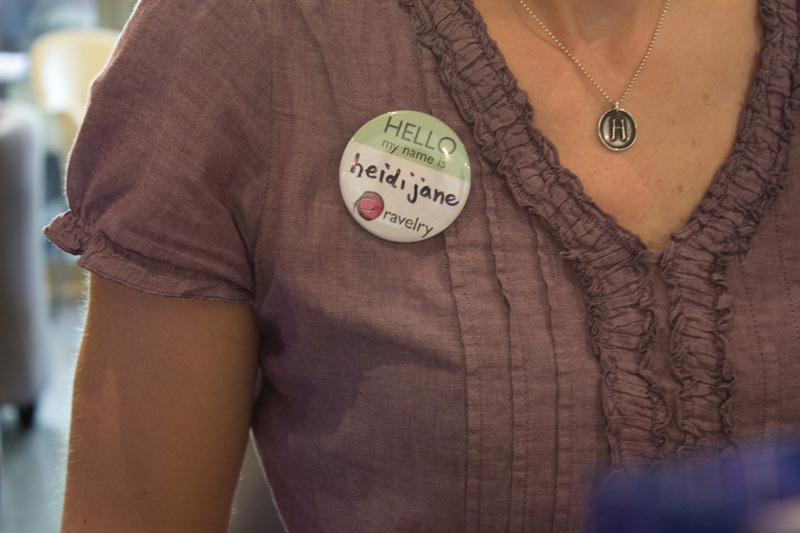 I’ll have to look into getting these badges from Ravelry so that we can all wear one when we get together. Heidi got this in the first fiber festival she went to, can’t remember which one. Thanks to the article on 7Days, we welcomed a few new faces to the group that day, including Anne-Marie who is a spinner. She brought her travel wheel and some amazing yak fibre which she is spinning in this photo. 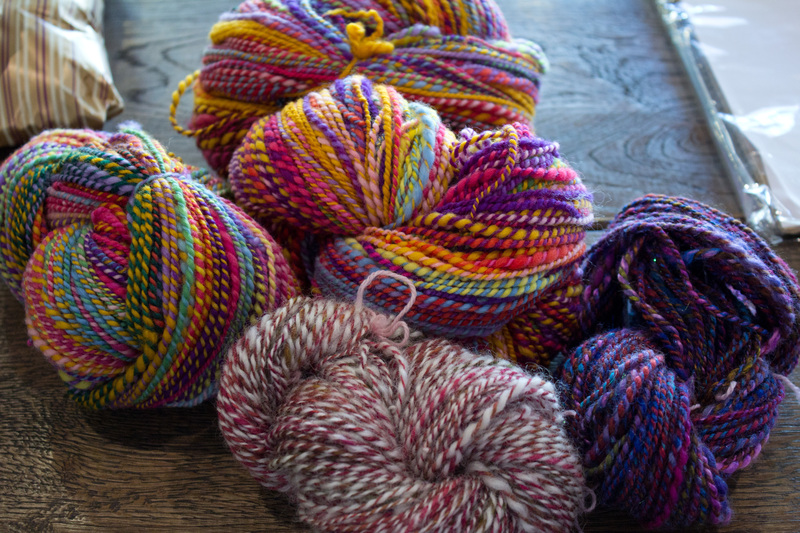 Here are some of the beautiful yarn Anne-Marie has spun and even hand-dyed! I can just picture these multi-coloured yarn knit up as a chunky cowl. 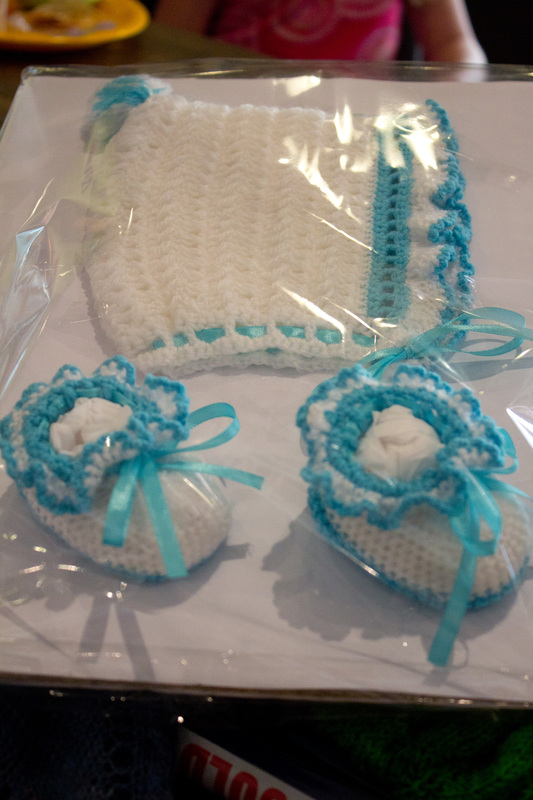 Ranjini is another newbie, she crochets and brought these cute little baby sets to show everyone. The frilly booties are my favourite! Of course, it was show-and-tell as usual. 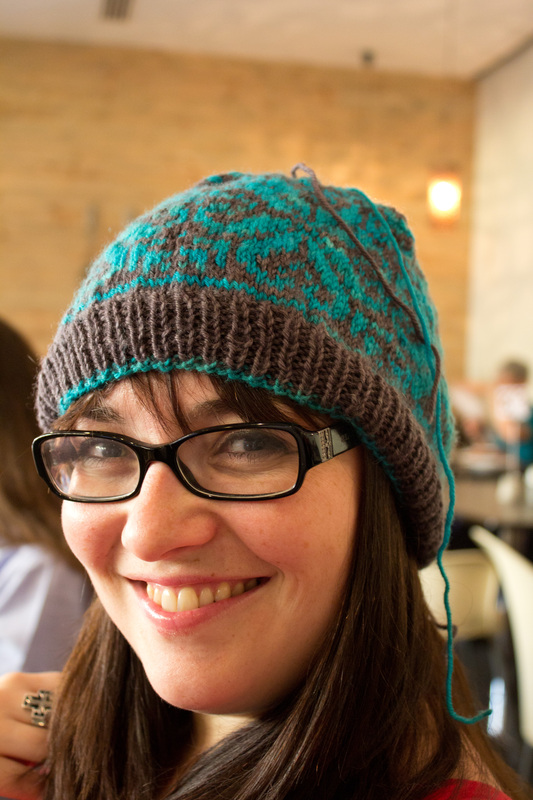 Ruth with the stranded hat she knit up for a friend using Dubai Knits Superwash DK. It looks amazing and makes me want to seriously try stranding projects. Heidi’s daughter Maeve modelling the sucky thumb mitts I made for Nash, but which I gave her because they were so easy to make and took little yarn anyway. This little girl is hilarious! She posed like this all on her own, I just took the photo. Okay so here are a few photos of what people got from the mystery swap. 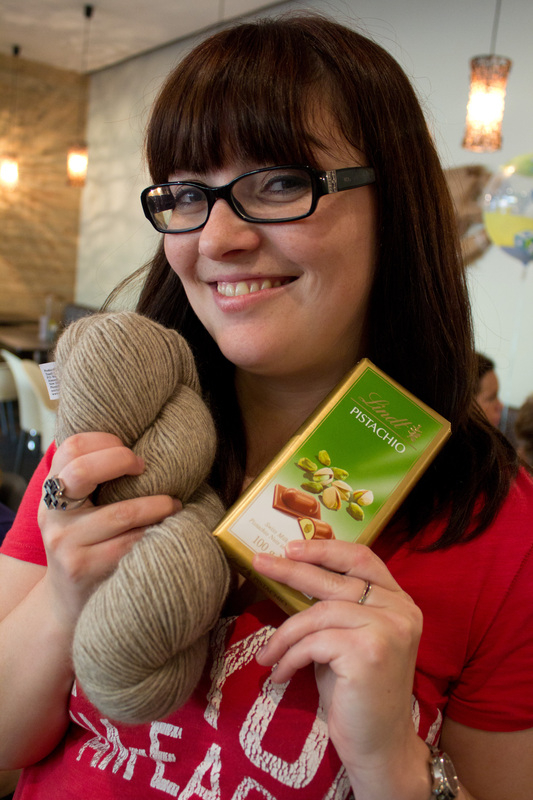 Ruth with an awesome skein of possum yarn and chocolate from Stephanie. Arnea got lucky with this skein of Sundara Yarn Sport Merino from me. 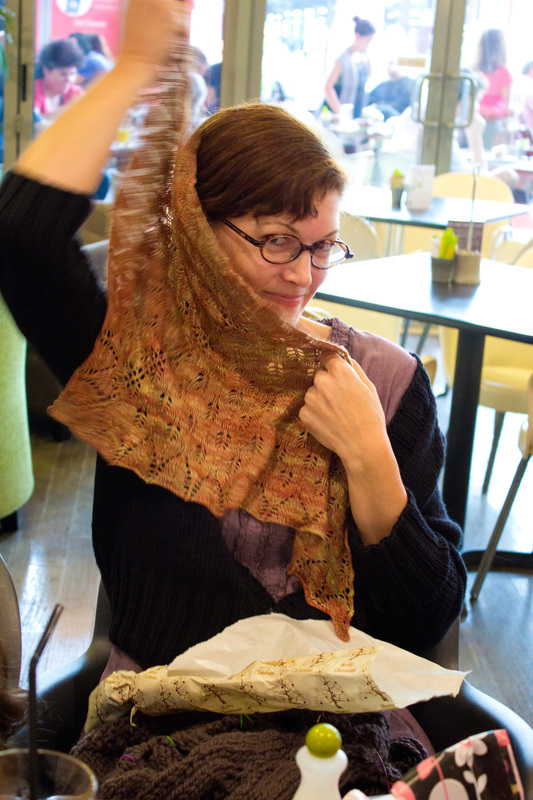 And Heidi with a Shetland Triangle shawlette from me. This is one of my very first shawls and Sundara projects. I’m glad it went to a good home! Now my loot is awesome! 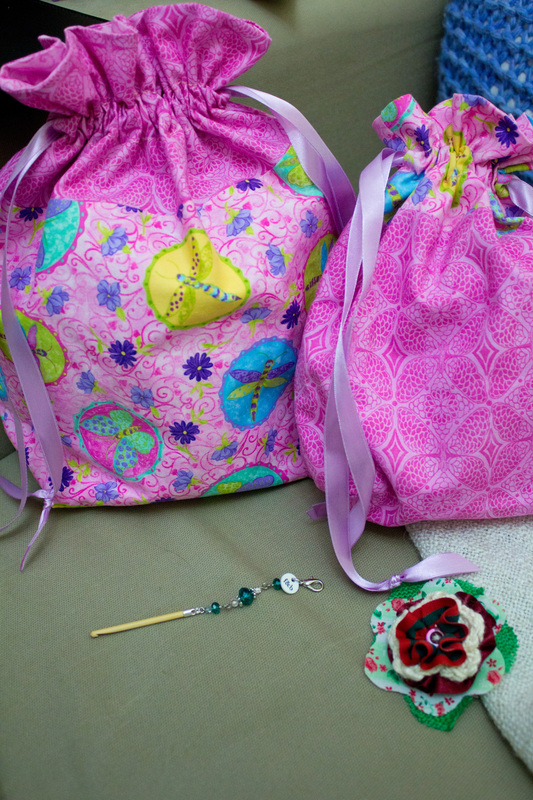 Mel worked until late the night before finishing up these project bags. I love them! I also got a stitch saver from Fripperies & Bibbelots. Oh and a crocheted flower pin made by Anne-Marie! It was a good day. We chatted, we ate, drank, knitted and had a very chilled out day. As a few of us keep on saying, it’s the best way to de-stress and spend an afternoon. 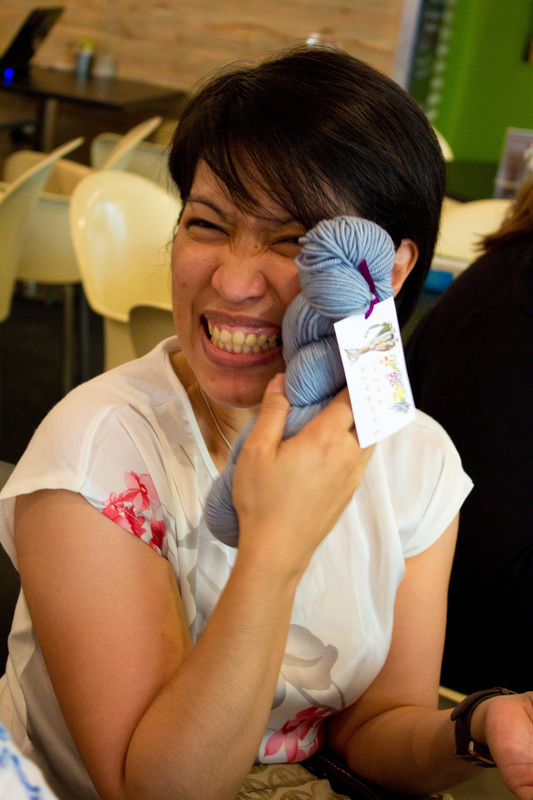 I’m happiest when I have needles and yarn in my hands and good company around me. I suspect they all feel the same. We spend so much energy watching what we say and do and even think in other environments that coming to a knit day with the Amiras is so effortless and so worth it. 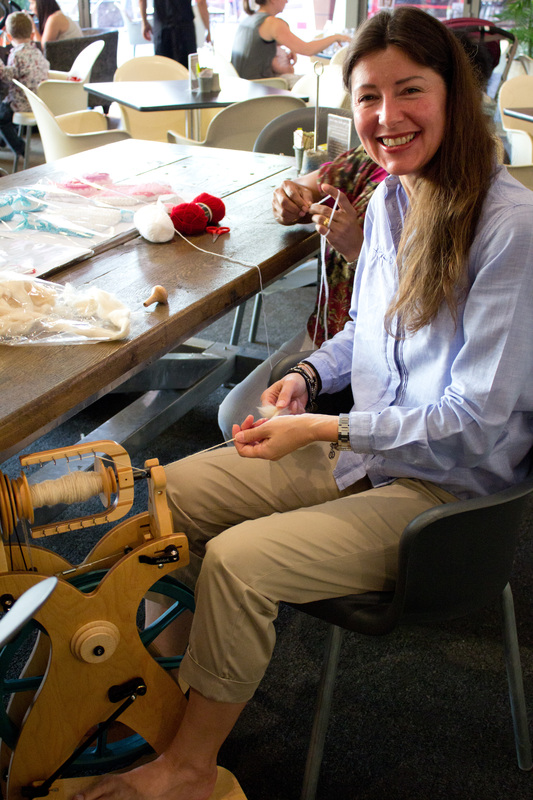 The best way to celebrate our fourth year as Amiras – yarn, treats and great company!! Wish I was there to celebrate. Wish I was there to! Looks like a lot of fun, and great gifts for all. Love the project bags, one can never have to many.